Gamer Girl Confessions: #IntPiPoMo is Back! These can be anything from screenshots from any game, to photographs you take in real life and want to share on your blog. Seriously, they can be anything—character selfies, shots of combat, sharing your game UI, showing off all those pretty new scenery shots with the new graphics card you got... you get the idea. 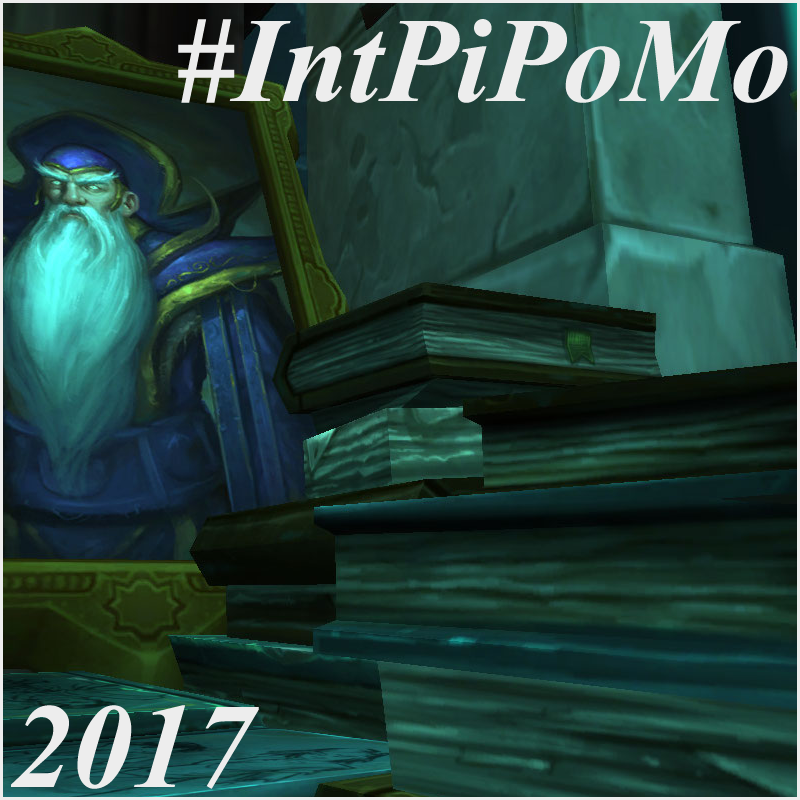 IntPiPoMo was started back in 2011 by Angelya of Revive & Rejuventate. 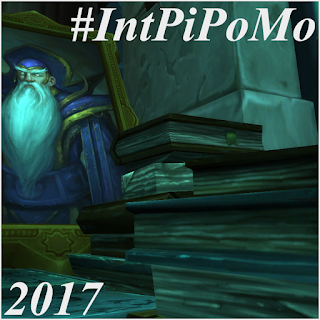 In 2013, Jojo of Admiring Azeroth picked up the initiative. In 2015, Jojo passed it along to me, as she was out of the country and unable to run it. I changed it up a bit when I took over, offering some prizes for those that completed, and I plan to do so again this year. I'm hoping to continue to do the initiative justice, and I'm excited to see what kinds of screenshots and pictures folks are going to share! Take the icon (original size 800x800) and use it on your site! Link back to this post so folks know where to go and what to do. Well, duh, the satisfaction that you completed the challenge! However, I am offering a few prizes again this year. Grand Prize - Of all participants who complete 50 images, I will be using a RNG (random.org) to draw a winner for a game up to $15 on Steam (game time for an MMO can be worked out if preferred)! Three Other Prizes - Of all participants who complete 25+ images (up to and including those who make it to 50), I will be using a RNG (random.org) to draw three winners for a game up to $10 on Steam! I got some great questions last year, and I'd like to continue the answers. Don't hesitate to reach out if your question isn't answered here! Q: Can I sign up during the event itself? I don't know if I can/want to participate. A: Of course! You could sign up the final day, though I don't suggest it. Q: I don't want to put these on my main blog. Can I use my Tumblr? A: Yes! Whether it's digital artwork, sculpting, knitting, etc., any form of creativity can tell just as much of a story as words can. Who am I to tell you that you can't use these as well? Q: I really don't want to fill up my blog with photos. Can I participate and utilize photos as a part of my regular posts to count? A: Indeed! Images don't always convey everything you want to write, and sometimes you don't want to make images the focus of a post. You are more than welcome to count images that you include as a part of a written post, so long as they are your own screenshots/photos. Q: Do I have to take all new shots? Or can I utilize shots I've already taken?